In late 2007 Fort Bragg entered into a contractual agreement with RLUAC to review and make recommendations concerning the appropriateness of new subdivisions, telecom towers and zoning changes proposed for property located within five miles of its boundaries. Fort Bragg's contract with RLUAC stems from a 2004 mandate by the North Carolina General Assembly (Session Law 2004-75 -- NCGS Chapter 153A-323 & 160A-364) and its updated version adopted in 2013 (Session Law 2013-59) that requires local governments to notify the commanders of military bases regarding any proposed subdivisions, telecom towers, windmills or zoning changes located within five miles of the military boundaries. With the ability of RLUAC to access detailed property parcel information from its extensive Geographic Information System (GIS) database, it is possible for it to suggest whether the affected properties are most suitable for "urban development", "low-density urban development", or that it is "important to conserve" and "critically important to conserve" due to negative military impacts or environmental concerns. 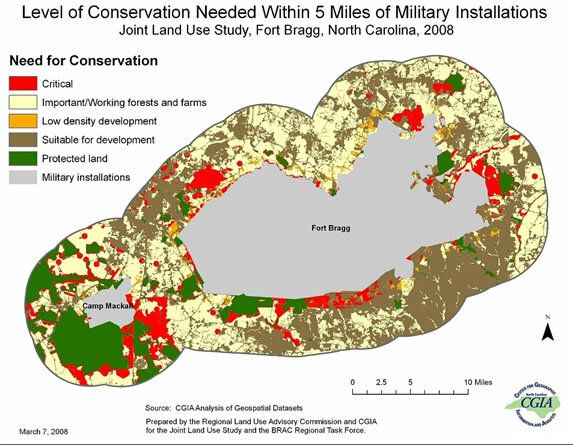 The GIS database is currently available, at no cost, for anyone interested in learning more about the best uses of property located anywhere within the eleven counties surrounding Fort Bragg. 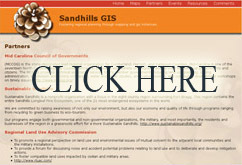 The address for this website is www.sandhillsgis.com. 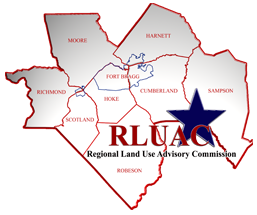 Since initiating the land use review service at the beginning of 2008 through December 31, 2017, RLUAC has reviewed and made recommendations concerning 1,383 cases --78 cases in 2008, 91 cases in 2009, 102 cases in 2010, 127 cases in 2011, 153 cases in 2012, 116 cases in 2013, 188 cases in 2014, 120 cases in 2015, 123 cases in 2016, 182 cases in 2017, and 103 cases in 2018 through July 16th.